The Editable Multilevel Phases PowerPoint Diagram is a 9X3 circular component process cycle. It is an outstanding diagram for modelling business concepts within a circular flow of work. For example, it can explain resources and change management where the activities are handled in an iterative process. Professionals of several industries and fields can make the most of this template. It is an excellent PowerPoint diagram for depicting how processes works. 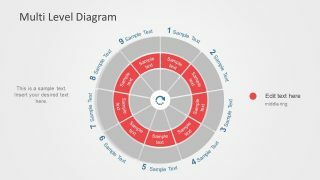 The wheel shape multilevel diagram aids in filtering out requirements to target specific needs of the business. Such as, to make a sales and marketing strategy, narrowing down to productive tasks of projects and more. However, it also enhances business model to elaborate ideas in multiple levels. The Editable Multilevel Phases PowerPoint Diagram slideshow is 3-tire segmentation of nine cells each. 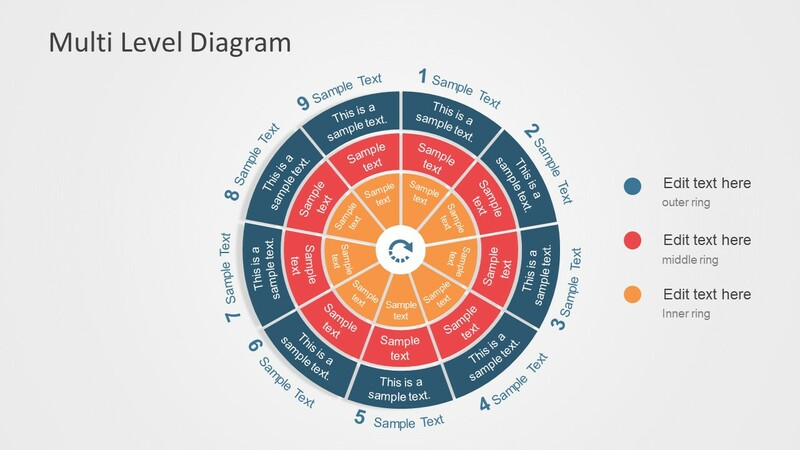 It is a pie-shape effective design to display decision making and problem-solving presentations. 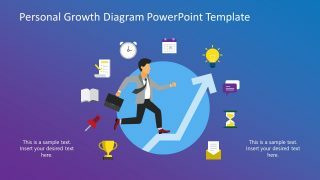 The PowerPoint template of 5 slides has 3-level colorful diagram in the start and end. Whereas, the rest highlights each layer with single color separately while graying-out the other two layers in slide. The circular arrow icon in the middle represents a loop/iteration. All the 27 segments contain separate placeholders for texts as well as, nine more outside the diagram. 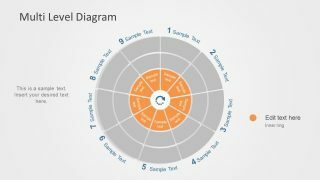 The textbox in the first slide is useful for level-wise details as the bullet points have segment colors from diagram. 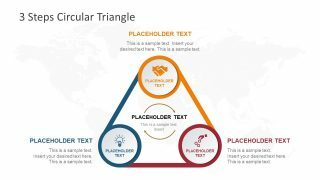 It is a simple and clean design of PowerPoint shapes join to create a multilevel model. These shapes are 100% editable, enabling users to modify size, color or move the items. For instance, to change the color theme of diagram, there are more than one way to do so. First is, to change color of each shape one by one in format menu. Or, select the color theme from variants in design bar. Moreover, there is an option to create custom theme in variant colors. The multilevel phase is useful for presenting business benefits to attract new clients, increase sales, propose marketing approach and more. It is a useful approach for potential business opportunities which audience brings.